We love healthy eating, and we know you do, too. 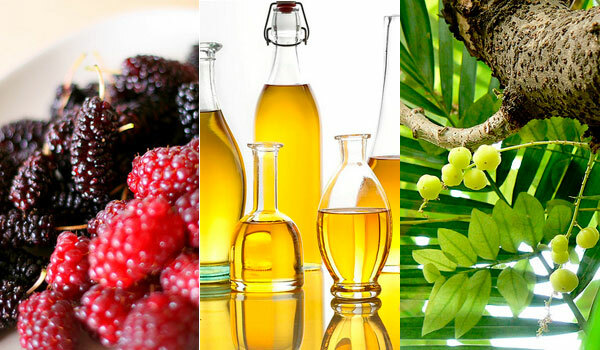 Throughout last year, we shared hundreds of recipes and healthy eating tips from a bevy of spas and experts around the world, so we thought we’d take a look back and highlight the 10 food stories you loved most in 2012. Do you have an absolute favorite story, or are there certain food and healthy eating stories you’d like to see more of from us? Share your thoughts in the comments, and we’ll do our absolute best to bring you even more good eats and tips in the coming year! This guest post from the inspiring Mariel Hemingway (who was also our Wellness Week 2012 spokesperson!) was one popular story! From easy tips to a few recipes she loves, get Mariel’s take on the importance of starting your day with breakfast. It’s no secret that the ancient grain quinoa has climbed up the ladder in popularity status in recent years, and this recipe from Quebec’s Spa Eastman was no exception. Another story inspired by Mariel Hemingway, but not written by her, we took a look at her cookbook, Mariel’s Kitchen, and shared with you six breakfast recipes we loved. From spinach pancakes to buckwheat and coconut flour waffles, Mariel’s recipes make it difficult to even think about skipping breakfast. In the heat of summer, we shared some summer drink recipes that can help you cool down while indulging in some flavorful health benefits. From Kamalaya Koh Samui’s ginger tamarind cooler to Sanoviv’s blueberry lemonade and Ska:ná: the Spa at Turning Stone‘s strawberry water, we hope these recipes will help you brave the heat of summer for years to come. A good salad always puts a little pep in our step, and last summer, we shared with you some refreshing salads recipes using in-season ingredients from spas across the country, including one from yours truly (watermelon and tomato salad with feta and fresh basil, anyone?). Plus, a bonus slide includes tips and recipes to create your own salad dressings. 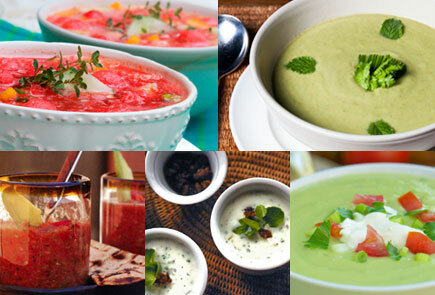 Another summer recipe round-up our readers loved was this slideshow of delicious cold soup recipes from spas like Rancho La Puerta, the Oaks at Ojai, Mii amo, and more. Don’t feel like turning the stove on tonight? Give these recipes a try any time of year! In search of the best coconut water, we blindly tasted 11 different brands (has anyone else noticed all of the new brands out there now?) and shared with you our top five favorites. See which made the list in our taste test! Who isn’t stressed these days? Beyond taking some time out to unplug, focus on yourself, head to the spa, exercise, and meditate, something that you do anyway every day, like eating, can be geared to alleviate stress. Here, we talk to both a doctor and a chef at Jiva Spa, Vivanta by Taj – Bekal, Kerala, in India, Ananda in the Himalayas about seven foods to help you find some Zen. These spa-inspired holiday sides offered healthy alternatives to work into your 2012 holiday menu. From farro stuffing and creative takes on mashed potatoes to a creamy cauliflower soup and black kale salad, we chowed down this past holiday season. And last but not least, in December 2012, we shared with you some delicious detox juice and smoothie recipes to help you get back on track in the New Year. We hope you’re enjoying these healthy beverages this month!